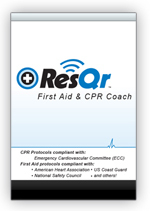 Real-time, step-by-step emergency first aid instructions that empower you to be the rescuer in any situation. 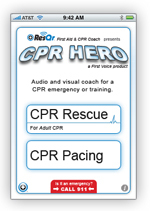 Real-time, audible step-by-step instructions and pacing for CPR rescue. 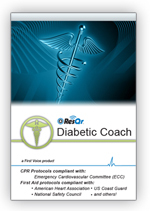 Real-time, step-by-step instructions coaching through an emergency diabetic situation. 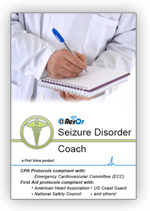 Get real-time, step-by-step emergency first aid instructions through an emergency epileptic seizure situation. 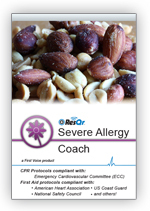 Real-time, step-by-step instructions coaching through an emergency allergic reaction situation. 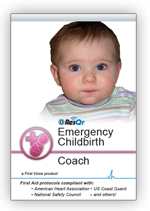 Real-time, step-by-step instructions coaching through an emergency childbirth situation. 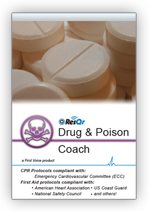 Real-time, step-by-step instructions coaching through an emergency drug overdose and poison situation. 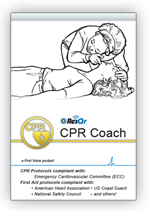 CPR video pacing metronome and audio guidance for adult CPR rescue and CPR training. 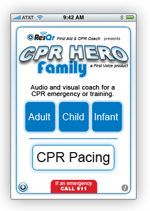 CPR video pacing metronome and audio guidance for any age: infant, child, and adult. 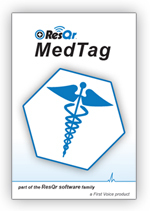 Store your important medical information, conditions and allergies, medications, insurance info, and preferred hospital and doctor for emergency events in which you are unable to communicate. 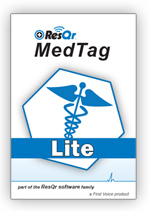 Store important medical information, conditions and allergies, medications, insurance info, and preferred hospital and doctor in multiple profiles for your entire family.